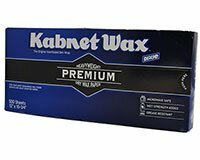 Kabnet Wax Heavyweight Premium Paper has been replaced by Handy Wacks Premium Heavy Duty Wax Paper Sheets 500ct made in the USA. Please order Handy Wacks Premium Heavy Duty Wax Paper Sheets 500ct. For your most demanding deli food service and meat counter needs. Why Dixie Interfolded Deli Papers? A variety of weights and sizes for most any need.